A stay at Humphry Inn & Suites places you in the heart of Winnipeg, within a 10-minute walk of MTS Centre and Canadian Museum for Human Rights. This hotel is 0.5 mi (0.8 km) from Forks Market and 0.6 mi (0.9 km) from RBC Convention Centre Winnipeg. With a stay at Express by Canad Inns in Winnipeg, you'll be minutes from Celebrations Dinner Theatre and close to University of Manitoba. This eco-friendly hotel is within close proximity of St. Vital Park and Riel House.Rooms Make yourself at home in one of the 36 air-conditioned rooms featuring refrigerators and microwaves. Complimentary wireless Internet access keeps you connected, and cable programming is available for your entertainment. Private bathrooms with shower/tub combinations feature complimentary toiletries and hair dryers. Conveniences include desks and complimentary newspapers, as well as phones with free local calls.Amenities Enjoy the recreation opportunities such as a nightclub or make use of other amenities including complimentary wireless Internet access.Dining Satisfy your appetite at the hotel's restaurant, which serves breakfast, lunch, and dinner, or stay in and take advantage of room service (during limited hours). Quench your thirst with your favorite drink at a bar/lounge.Business, Other Amenities Featured amenities include express check-out, complimentary newspapers in the lobby, and a 24-hour front desk. Free self parking is available onsite. Make yourself at home in one of the 107 air-conditioned rooms featuring refrigerators and flat-screen televisions. Complimentary wireless Internet access keeps you connected, and cable programming is available for your entertainment. Bathrooms have shower/tub combinations and hair dryers. Conveniences include phones, as well as microwaves and coffee/tea makers. 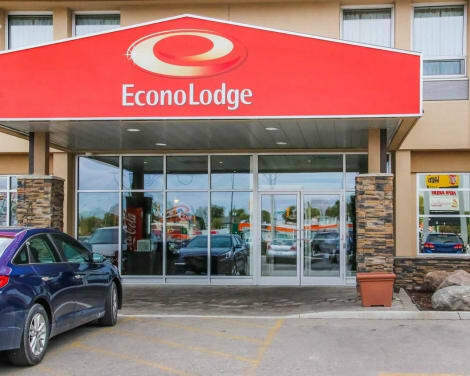 At Econo Lodge Winnipeg South, enjoy a satisfying meal at the restaurant. Quench your thirst with your favorite drink at the bar/lounge. A complimentary continental breakfast is served daily. Located in Winnipeg, Mainstay Suites Winnipeg is within a 5-minute drive of Kid City and Polo Park. 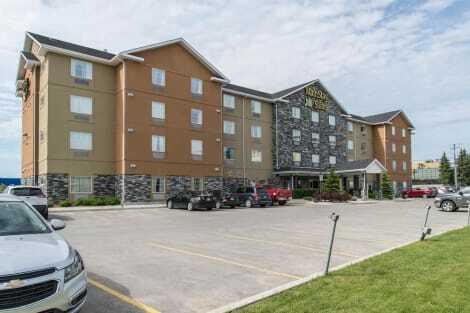 This hotel is 2.5 mi (4 km) from Red River College and 3.1 mi (4.9 km) from University of Winnipeg. Make yourself at home in one of the 210 air-conditioned guestrooms. Complimentary wireless Internet access keeps you connected, and cable programming is available for your entertainment. Private bathrooms with shower/tub combinations feature complimentary toiletries and hair dryers. Conveniences include desks and complimentary newspapers, as well as phones with free local calls. lastminute.com has a fantastic range of hotels in Winnipeg, with everything from cheap hotels to luxurious five star accommodation available. 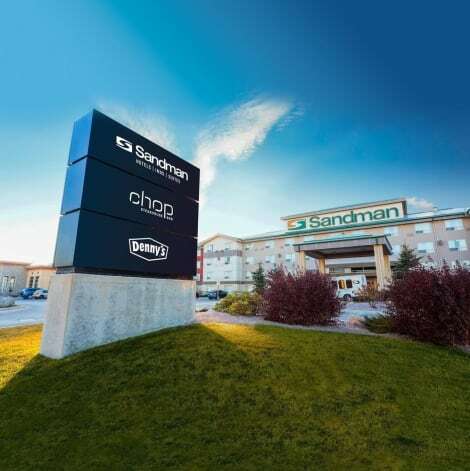 We like to live up to our last minute name so remember you can book any one of our excellent Winnipeg hotels up until midnight and stay the same night.